HudsonWay is enrolling now for After School! Offering Mandarin and Spanish After School language classes in Summit, HudsonWay Immersion School has been a pioneer in language immersion since 2005. The programs provide a fun and effective way for children ages 2½-12 to learn Mandarin or Spanish language skills. Children of all language levels are welcome, from beginners to advanced speakers. Native speaking, experienced teachers provide personalized attention and support for students in small classes. Preschool After School classes allow children to learn Mandarin or Spanish language skills through immersion and hands-on learning. Students engage in songs, movement and art projects. Through this proven method of language learning, children learn to introduce themselves, describe themselves to others, discuss their families and more. Preschool classes run 2 or 3 days per week. Through immersion and project-based learning, HWIS Elementary After School classes enable children to build language skills through arts and crafts, games and other fun activities. Students explore overarching themes supported by a variety of subjects–including school, the world, nature and more. Elementary classes run 1, 2 or 3 days per week. For more information about HudsonWay Immersion School, please call (908) 598-8088 or visit www.hwis.org. 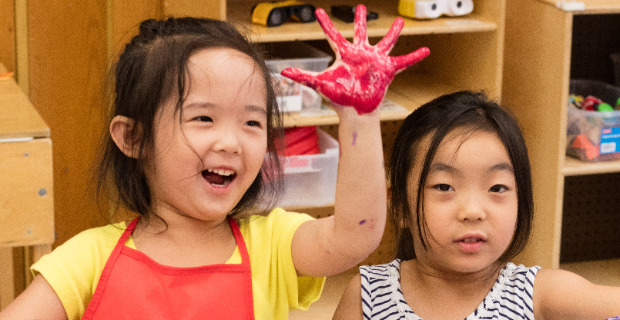 HudsonWay Immersion School has campuses in Summit, NJ and New York City, offering full day and after school programs in Mandarin or Spanish for children in preschool through grade 5. An innovative immersion approach enables students to learn content in two languages, empowering them to become bilingual, bi-cognitive and bi-cultural.